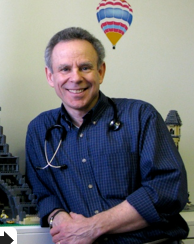 About Me « Howard J. Bennett - Pediatrician and Author in Washington, D.C. When I sat down to create this website, I wondered what I should say about myself. Because I got into writing through a different door than most people, I decided to focus on how I went from being a doctor to someone who writes. I have always loved kids. So when I decided to become a doctor, it was logical that I’d take care of children instead of adults. At first, I was a little worried about becoming a pediatrician (that’s the name for doctors that take care of kids) because it is definitely not fun to see children sick or injured. But I stuck with it and realized that making kids better was worth seeing them sick for a while. I have been a pediatrician for thirty years. That means some of my first patients have become parents themselves. In a few cases, I now take care of their children. This is very cool. Somewhere along the way, I found out that I like to write. This is a bit ironic because I definitely did not like to read as a kid. I began by writing funny stories for doctors. While I was doing this, I continued to see kids everyday in my office. I also began to develop an enjoyment for everything gross. You might think that I’m an odd duck because most people who like potty humor are kids. However, I’ve learned that many adults, at least once they’ve had children, enjoy humor that relates to bodily functions. This probably happens because babies and young children spend so much time peeing and pooping on their parents. And while I have definitely had the pleasure of being barfed on by my own children, the other reason I like bathroom humor is because, as a doctor, I spend so much time dealing with (and dodging) icky, gooey things that come out of children’s bodies! Because kids are sometimes afraid to see the doctor, one way to make visits less stressful is to talk about pee, poop and other gross stuff. Adults are not as fond of potty humor as kids, but the parents who see me understand that being gross make visits more fun for their children. Of course, I’m not gross with everyone. Some kids don’t like it. Also, if a child is really sick, being funny or gross is not appropriate. A few years ago, I started writing picture books about health topics like getting shots or being in the hospital. It’s hard to publish picture books, and I was lucky enough to find a publisher (Magination Press) that was interested in what I had to say. In 2008, I asked the editor of the KidsPost section of the Washington Post newspaper if I could write articles about health and science subjects for the paper. Happily, she said yes. This was great because it brought together the two things I love most: teaching kids about science and health and being gross. I have published more than sixty articles in the KidsPost so far and hopefully will continue to do so in the future. I got lucky again when I asked the editor at Jack and Jill Magazine if she would let me write a science column for kids. In November 2010, the Science for Smart Kids column began. A new editor began working at the magazine in 2012. He renamed the column, Life Is Gross. I like the new name better. I am a board-certified pediatrician with thirty years of clinical experience. I spent the first part of my professional career in academic medicine, teaching and practicing primary care pediatrics. I was the director of pediatric education during my academic tenure and won the first Outstanding Teacher Award given in my department. I have been in private practice in Washington, D.C. since 1991, but have continued my academic affiliations. I am currently a clinical professor of pediatrics at The George Washington University School of Medicine.